Do not send data if criteria match. 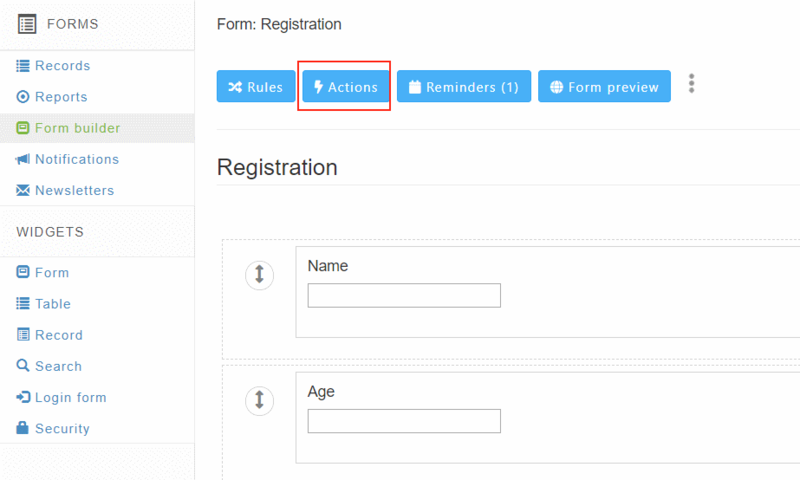 For example, if your criteria specifies the date range in which you do not want to accept input. For example, show message 'No vacations in August' if user selected August as a vacation month. If you still interested in implementing something like this, please, continue reading. Choose criteria using the form similar to Search form or the one you use in Conditional Formatting. Please, notice that there is no Edit for criteria. So you have to carefully define your criteria or you'll need to create another action. 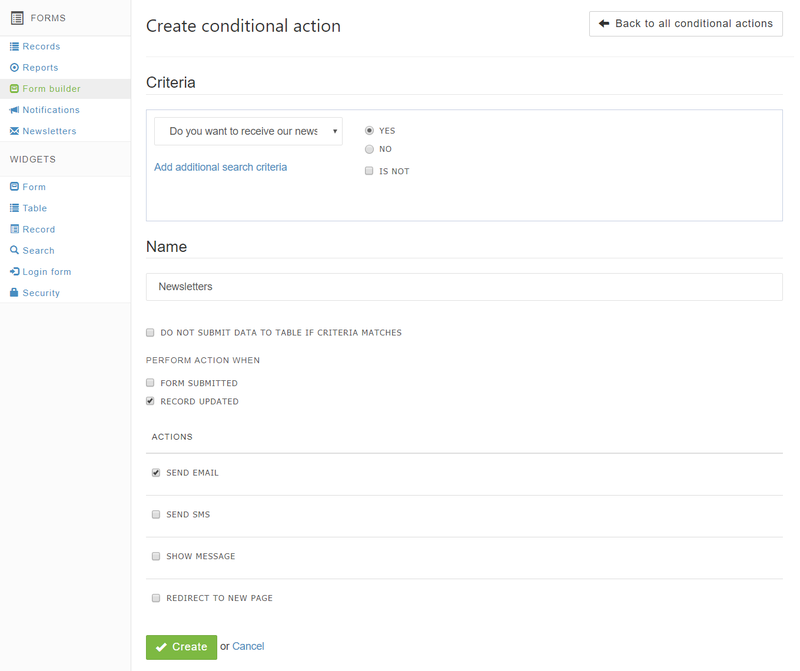 Once you created your 'Conditional action' you have to open it for editing again. Because you need to setup your Email/SMS or message templates. Or enter web-page for redirect.